Dave Grohl of Foo Fighters. 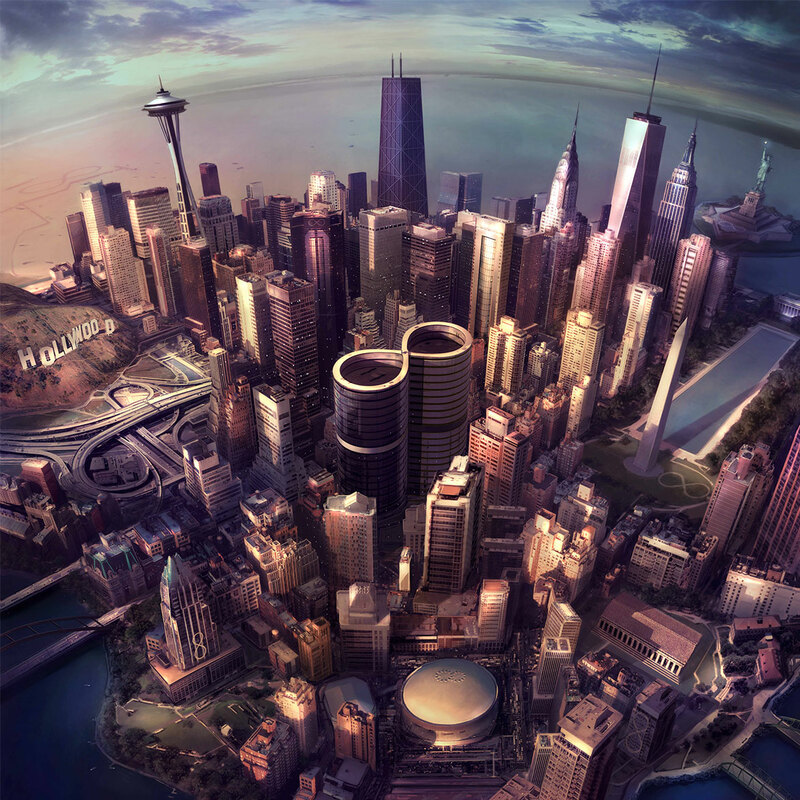 Foo Fighters teased the name of their upcoming eighth album last week with a Facebook post and an eight-second video of a man, presumably Dave Grohl, growling, “All riiiiise.” Now the group has revealed that it has named the record Sonic Highways and detailed the track list for the album (listed below) on their website. The 44-minute album, which the group co-produced with Butch Vig, is due out November 10th and is available for pre-order. The 180-gram vinyl edition features nine covers, including one for each of the eight cities the band recorded in for the record. “This album is instantly recognizable as a Foo Fighters record, but there’s something deeper and more musical to it,” Grohl said in a statement. “I think that these cities and these people influenced us to stretch out and explore new territory, without losing our ‘sound’.” Despite sharing a name with Grohl’s upcoming documentary, the album is not a soundtrack of that HBO series. The group also premiered a 14-second clip of Dave Grohl getting a tattoo of the phrase “In the end, we all come from what’s come before” with an infinity symbol on his arm. Although it proved to be somewhat of a red herring, the number eight has been a recurring theme in the buildup to the announcement. In June, Grohl told Rolling Stone that the album would contain eight tracks, recorded in eight different cities and that its making would be chronicled on an HBO TV series, also titled Sonic Highways, that will last eight episodes; the first episode airs on October 17th. The eight-second YouTube was titled “8,” and the bit.ly link the group osted to find it had “8-8_8” in its URL. Additionally, in early August, a Twitter user calling himself Captain Sarcastic posted a photo of a sticker the size of album art that showed a cityscape with numerous eights scattered around landmarks from Los Angeles, Seattle, Chicago, New York, Washington, D.C., New Orleans, Nashville and Austin. It’s also worth noting that most of these clues occurred during the eighth month of the year.